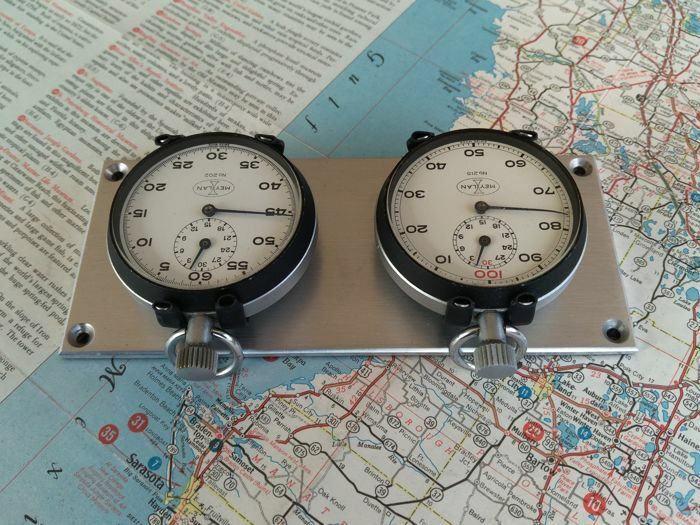 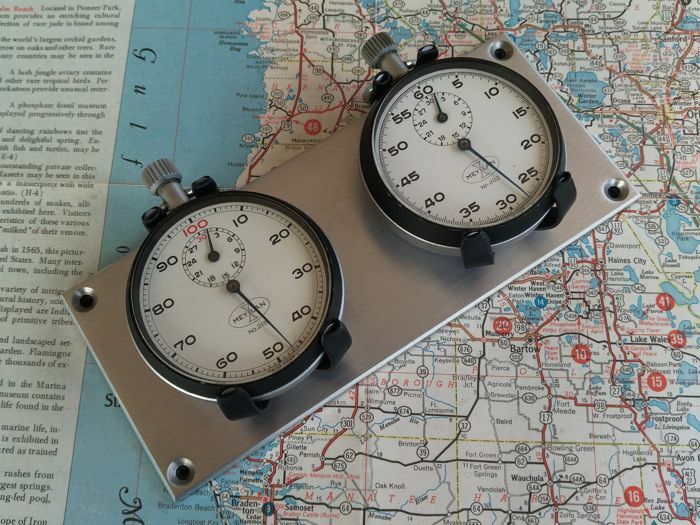 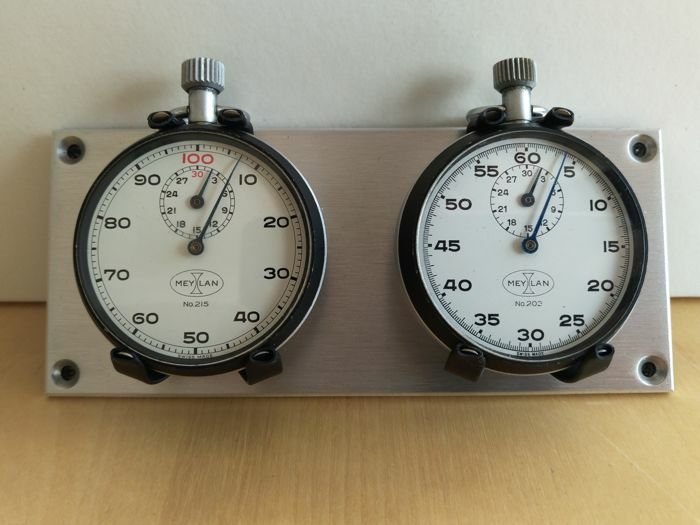 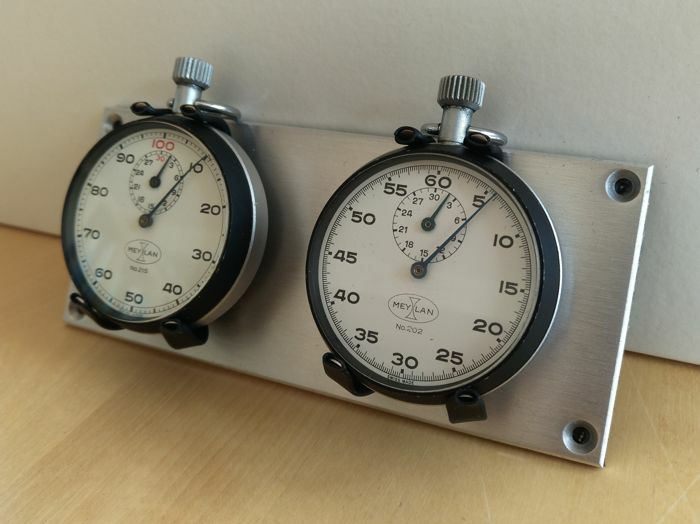 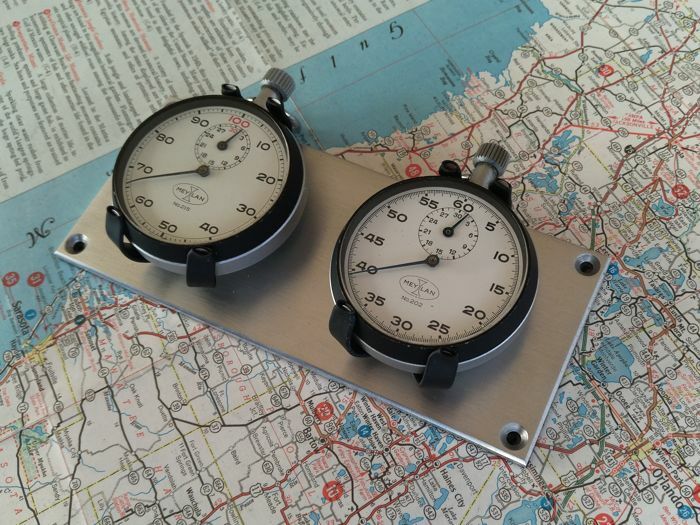 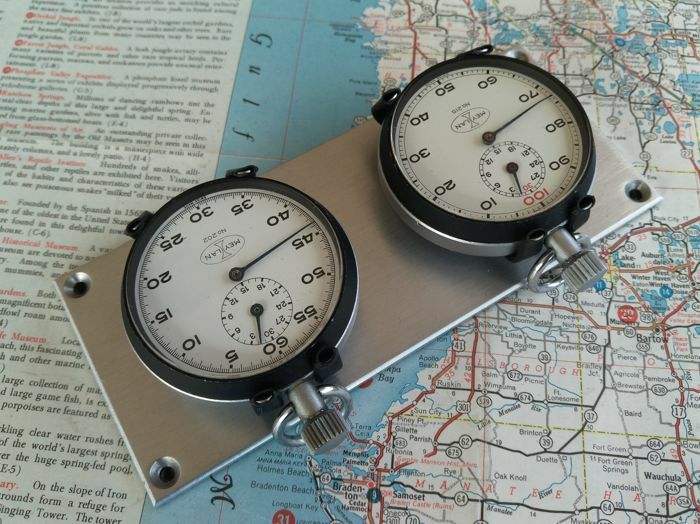 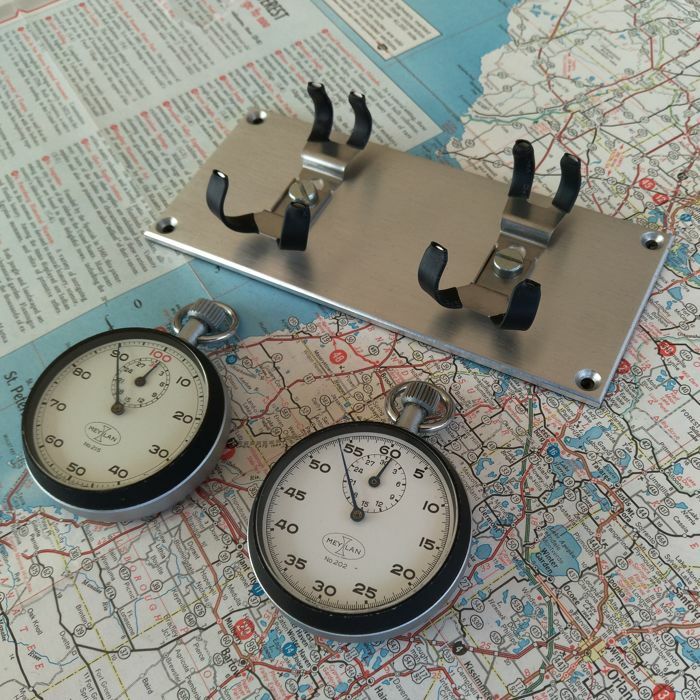 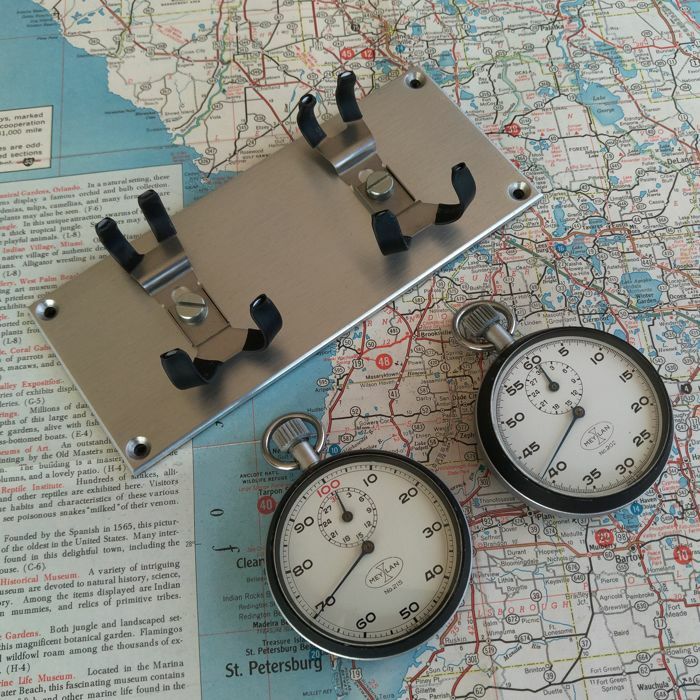 Nice 2X MEYLAN stopwatches race/rallye time keeping set. 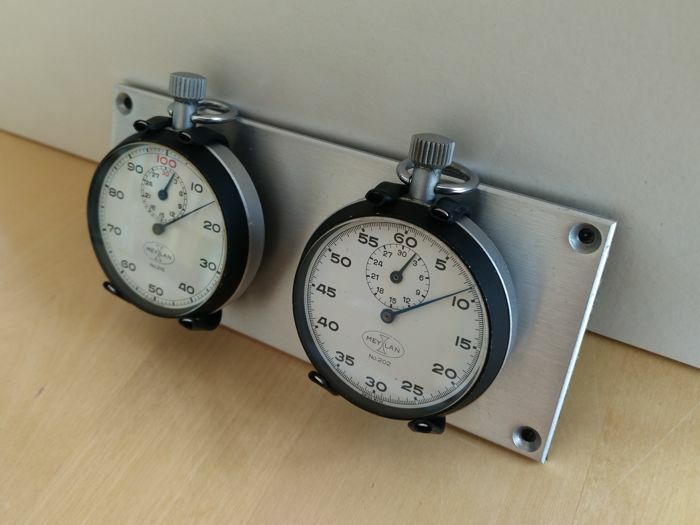 1970´s - 1980´s Mechanical Meylan set for dash mounting. 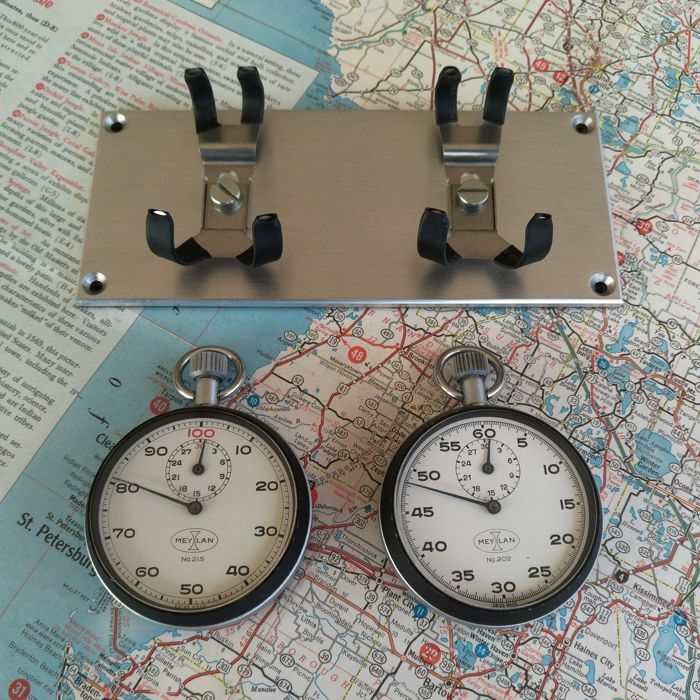 Mechanical 1/5 sec hand winding stopwatch. 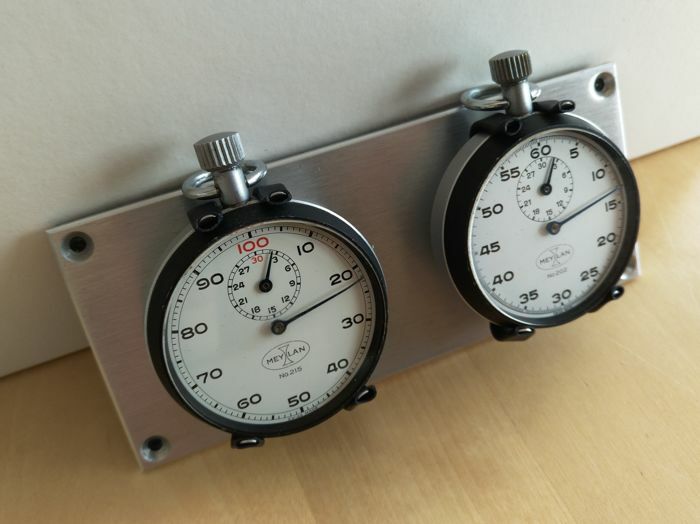 Central 1/100 Th min register + 30 min register at "12". 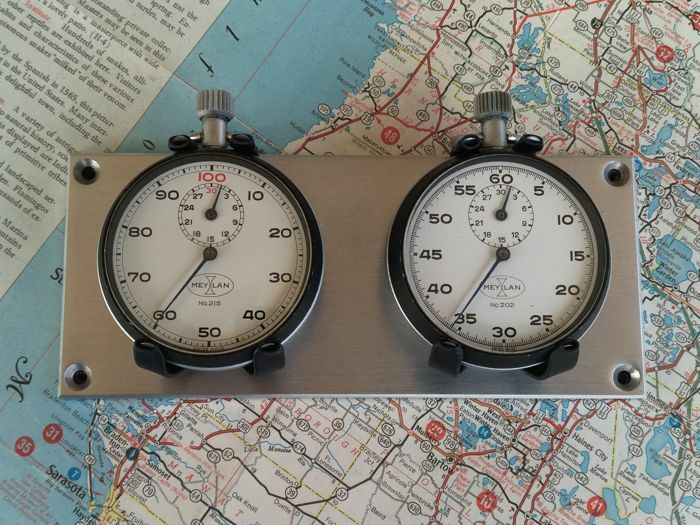 Crown: Start + Stop + Reset to "0". 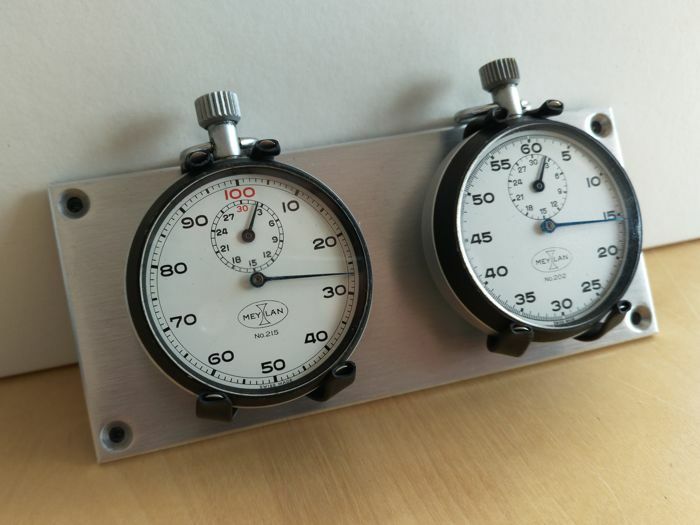 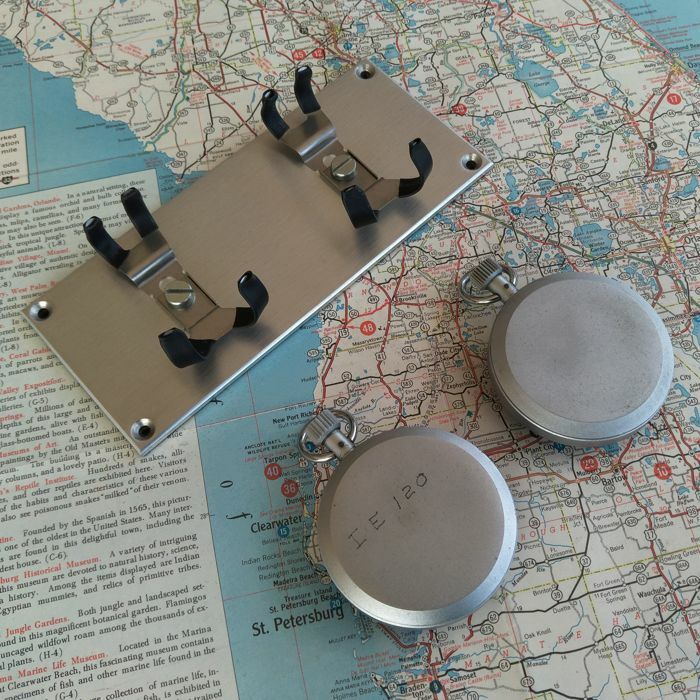 Mounted on an alluminium (chromed) dash plate (140x60x3 mm). 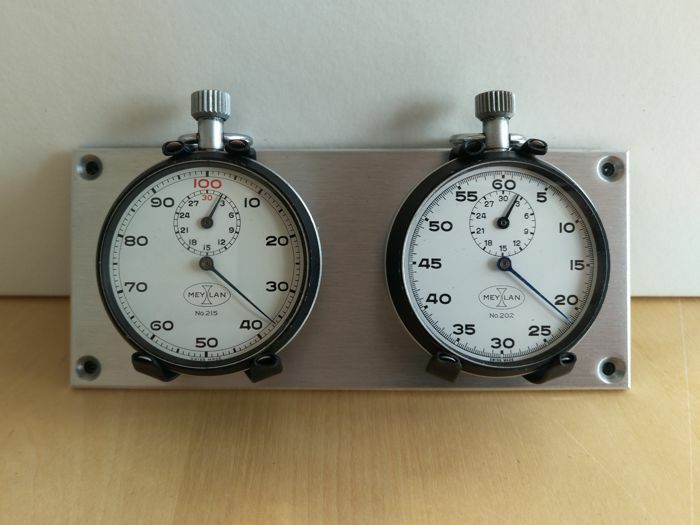 Nice add to your classic car collection. 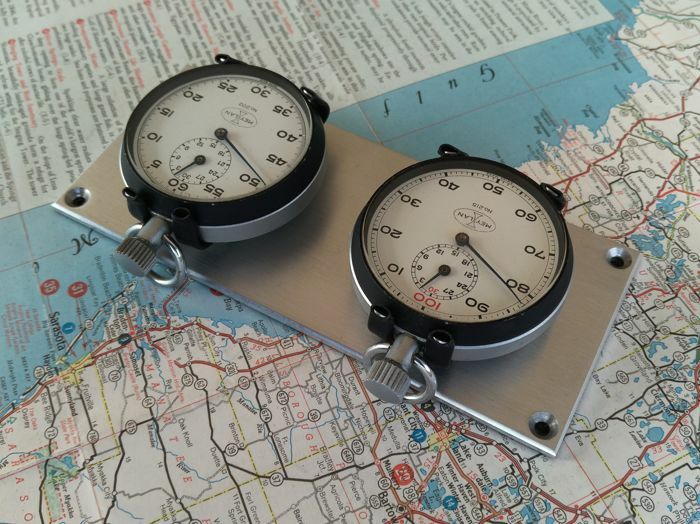 Waterproof - Accuracy not tested.